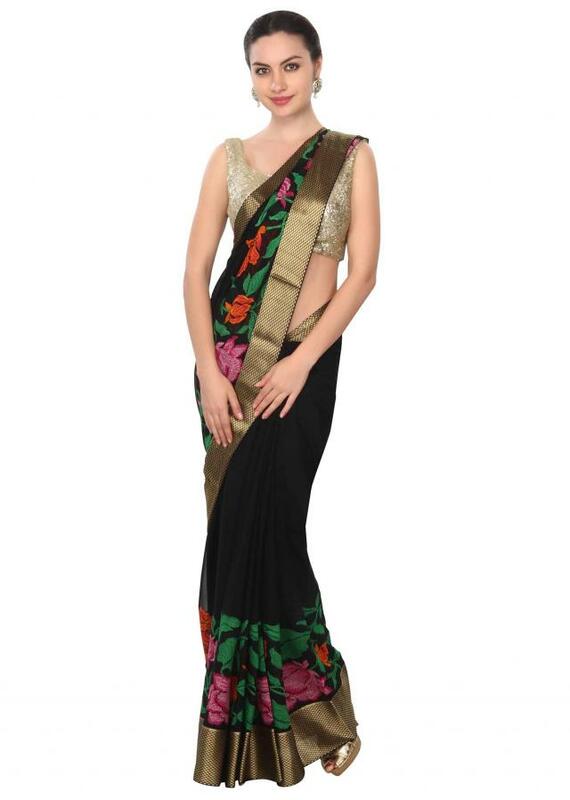 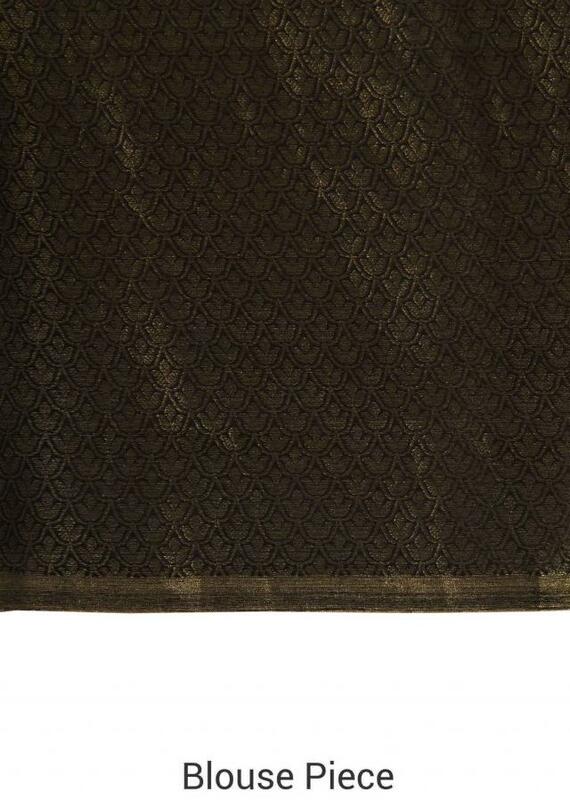 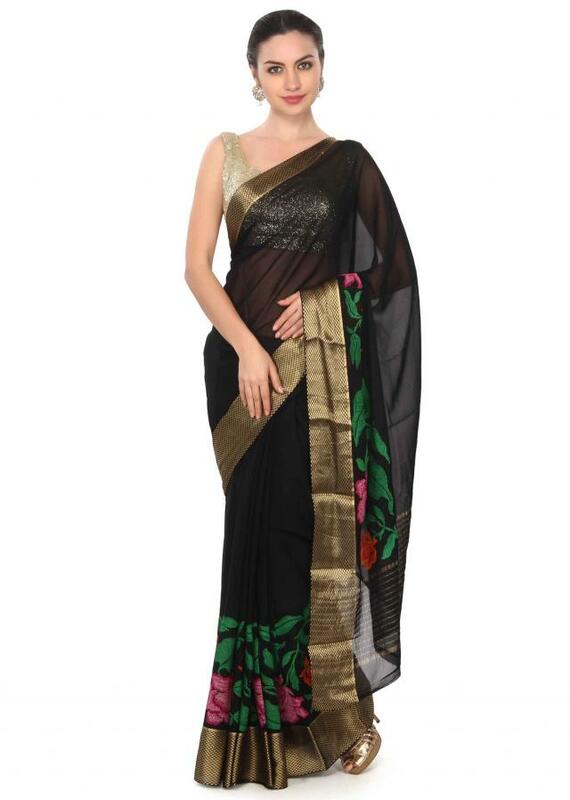 Shimmer ‌black saree featuring in georgette. 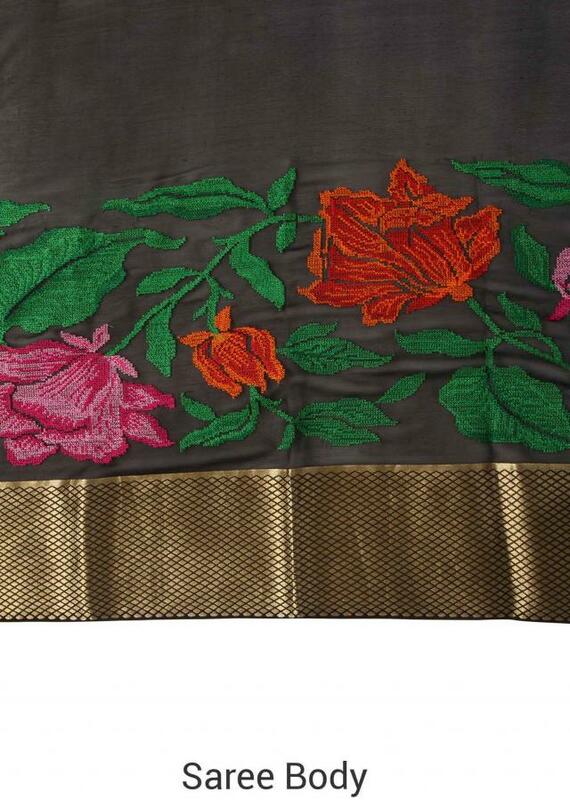 Its embellished in resham embroidery in rose motif. Blouse is unstitched in weaved georgette.